Yes, but only after they go through the normal procedural hoops the court requires. This is assuming they have permission from the original creditor to do so in the first place. But let me back up and explain a few things first. When a debt is passed on to a collection agency, the Fair Debt Collection Practices Act (FDCPA) begins to take effect. This federal law regulates what a debt collector can and cannot do in their attempts to collect on a debt. And if the collector violates this law, it should be held accountable. So for instance, the law states that a collector cannot threaten you with a wage garnishment if it has no right to do so. A lot of collection agencies will of course make this threat, knowing full well that they are not in a lawful position to do so. Besides, even if they have permission from the original creditor, they would still have to go through the regular procedures in order to get the garnishment in place. In order to garnish someone’s wages, the collector must first file suit against you for breach of contract in the proper court. Then you must be served with a summons, which in turn leaves you sufficient time to respond with your own pleadings. Then a court date must be set. A hearing must be held. And the judge must then rule in the collectors’ favor. Assuming all of this is done correctly, then the collector will be in a position to garnish your wages. But again, if the collection agency threatens such a thing (by way of a letter, or phone call, or voice message) before they have actually taken any of the proper procedural steps, then they have most likely violated your consumer rights. Such an infraction of the FDCPA involves the collector paying you $1,000 in damages. In addition, it is not necessary for you to pay any upfront fees to your attorney to handle your suit against the collector (because if in fact a violation of law has occurred, the collector must pay your attorney fees for you). It may also be the case that because of your overall debt levels that you are struggling with, a St. Louis bankruptcy may be a good option. A St. Louis Chapter 7 or a St. Louis Chapter 13 can take care of all your debt issues, putting you back on the road towards financial freedom. 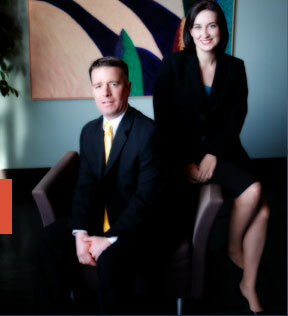 The affordable St. Louis bankruptcy lawyers at Brinkman & Alter, LLC have been helping people with their debt problems for over ten (10) years. Our goal is to get you the fresh start / clean slate that you deserve. We have two locations: in the Central West End, at 1 North Taylor, St. Louis, MO 63108; and in the Twin Cities of Festus / Crystal City, at 1000 Truman Blvd (Highway 61/67) 63019. The consultation to discuss your legal affairs is free of charge. So contact us today to learn more! !